SIDS, or sudden infant death syndrome, is a possible cause death of an infant under 1 year of age. We do know that certain babies are more at risk for SIDS than others, and that premature babies have a higher SIDS risk than babies who were born at term. Although SIDS can happen any time during the first year of life, the risk is highest between 2 and 3 months of age. For premature babies, the risk is highest between 2 and 3 months corrected age, or 2 to 3 months after your baby’s original due date. The risk for SIDS remains high until about 6 months of age, then drops slowly. By a baby’s first birthday, the risk for SIDS is very low. 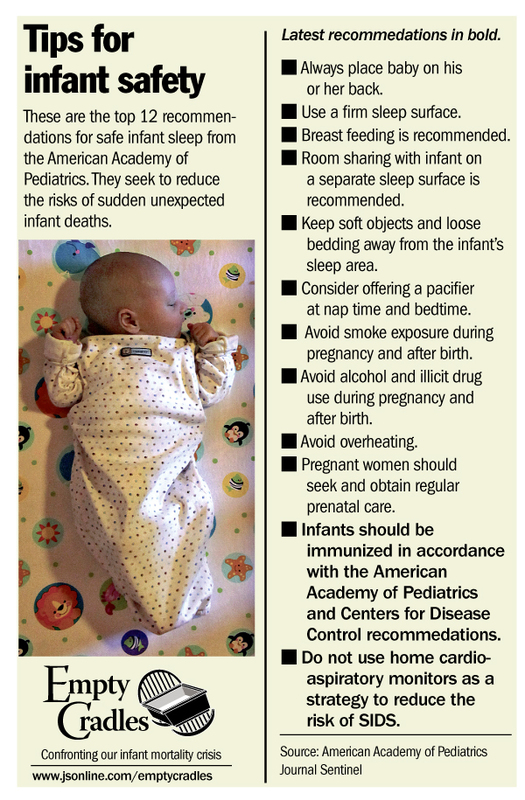 There are a number of strategies that can help with SIDS prevention for term and preterm babies. Avoid overheating the baby’s bedroom temperature. Use Wearable Blankets instead of wrapping your baby in traditional blankets.